The model that Google seems to have chosen today, for their newly-announced "Google Screenwise Data Collector" is the Cisco-Linksys E4200, available for $154.45 USD on Amazon, and about the same at newegg.com. 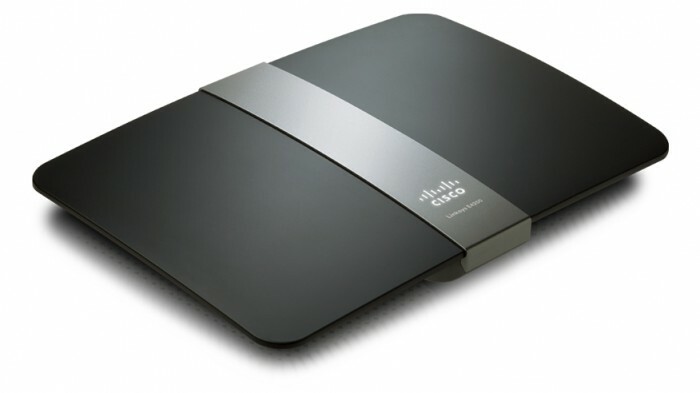 It's also sold by Cisco directly with the same 90 day warrantee, but factory refurbished, for just $99 USD. Yes, there is a newer, more pricey E4200V2 (aka N900), but the changes seem minimal and the price is considerably higher, and the stability not yet known (too new). Having owned many Linksys, Cisco, D-link, and Netgear router these past 15 years, no router I've had has been perfect. But at least this one has held up to continual abuse, with upwards of 300GB of data per month seen here. Yes, 802.11ac is coming soon, which I saw at CES 2012, but we're just not there yet. The most important measure in my book is stability, followed by speed, and this delivers on both, wired and wireless. I haven't had to reboot for months, since moving to firmware version 1.0.03 downloaded here. I consistently get at least 30Mbps down and 6Mbps up, with 20ms pings, using speedtest.net, or Cox's own internet speed test. I'm also pretty fond of the E4200's guest network capability as well, described in a picture I created here. I should mention the WPS vulnerability is not yet addressed in the 1.0.03 firmware, a problem with many 802.11n routers, more discussion here. New firmware due March 2012, announced at Cisco here. but it does state a fix for the WPS issue, see release notes here. Did you know that with some ISPs, you can nearly double your speed, by simply paying for your own DOCIS 3.0 Cable Modem? If your ISP allows bonding, you may find you'll get a bonded pair automatically, once you install this modem and call your ISP to activate it. You may be able to do this without stepping up to a more expensive plan. 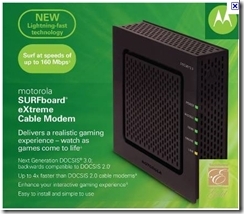 While high tier plans might include a free DOCIS 3.0 modem, they'll likely cost you much more in the long run. Back in July 2011, I described the combination here, and went into more details about firmware levels. The changes have all since matured, and settled down. Yes, there are newer DOCIS 3.0 modems out, but I cannot speak to their stability or recommended firmware levels. You may want to call your ISP in advance of purchase, to be absolutely sure you won't have support problems by buying your own, and to ask advice for which model to buy. But in my situation with Cox Communications, they not only use but also list the Motorola SURFboard eXtreme SB6120 DOCSIS 3.0 Cable Modem. Note that the SB6120 doesn't have a built-in RJ-11 phone port, so if you want phone service from your ISP, this model won't work for you. For me, I wasn't concerned, as I now use 2 Ooma Telo refurbs for VOIP for phone anyway, far more less costly per month. It goes for $79.99 USD on Amazon, good user feedback here. Cox automatically updated it to the known-good, stable 1.0.5.1 firmware, and hasn't required a reboot in months. I will soon be publishing a video on my successful method for tuning for VOIP using QOS settings in the E4200, so please consider signing up for the weekly newsletter to be notified, or go with RSS for more immediacy.